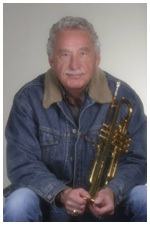 Legendary Trumpeter, Grammy Award-Winner and Longtime "Tonight Show Starring Johnny Carson" bandleader and big time ANIMAL LOVER...especially HORSES & DOGS!!! 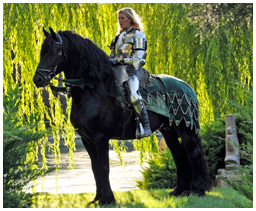 "I and my horses LOVE Espana SILK—There is simply NO other products that we will use on our Prized Friesians and those of our Clients." "Not only do I use Espana Silk products EXCLUSIVELY for me & my horses/pets -but my entire family enjoys the products as well." "Espana SILK has a solution for every problem I have….Xiomaro especially likes the Protectant Spray with Sunscreen in the Detangler…his pink nose will never get burned again when he runs around outside! 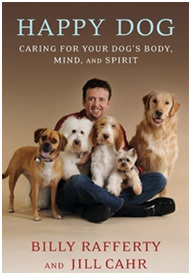 All my 4-legged family & I enjoy using Espana Silk products & recommend them to everyone." 2014 USEF Equestrian of Honor, Winner of the Barbara Worth Oakford Trophy for Excellence in Western Pleasure, Exclusive Trainer 2014 USEF National Horse of the Year, Together with his wife Staci Griffin, was awarded the 2015 Virginia Horse Council Horseman & Horsewoman of the Year. 2012 & 2013 USEF Equestrian of Honor - Norman K Dunn Pegasus Award Winner for Excellence in Halter/In Hand. "We appreciate the natural ingredients and smooth, silky appearance that the Espana SILK Products provide for us. 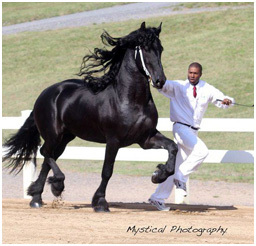 We use them on ourselves as well as our Champion Friesians, Gypsies & Warmbloods. Beautiful results every time!" 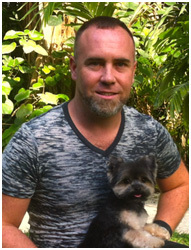 Award-Winning Groomer/Dog Guru & CHICAGO'S ONLY Master Pet Stylist (MPS) & Dermatech Specialist (DTS) Int'l Society of Canine Cosmetologists; Certified Master Groomer, Companion Animal Hygienist; Highly regarded speaker, lecturer & Author of "HAPPY DOG"; Designated by United Show Managers Alliance as Sanctioned Grooming Show Judge; Recipient of Numerous awards at NATIONAL & STATE Grooming Competitions. "I LOVE THAT Espana Silk products work well on a wide variety of coats, from fine to thick. I use it on the Grand Champion Bearded Collie as well as my other show dogs. As for the Detangler Spray—LOVE IT! LOVE IT! LOVE IT!" 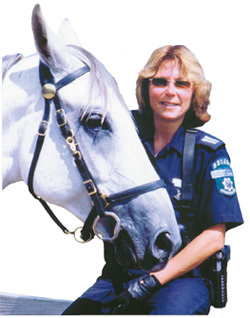 "National Mounted Police Instructor of the Year"
& retire mounted police officer. "When I instruct police officers on basic grooming, Espana SILK is the only product we use. I am proud to be part of the Espana Family since it launched in 2006. Find me at the barn, my grooming kit is all Espana. Thank You Trudy and Espana SILK, absolutely the BEST grooming products!!!" "Dogs are my life and making them look & feel good is my passion ... from my own experience & In my opinion I really think EspanaSILK is BETTER & SUPERIOR to what is available in my industry and popular for groomers which is shifting to all natural products and I'd love to be part of that discovery, Thank you!" State Champion Calf Roper, Two Time State Champion Steer Wrestler, Two Time NATIONAL Steer Wrestling Champion of the NHSRA (National High School Rodeo Association). "I love to keep my team of horses looking beautiful & healthy and the All Natural EspanaSILK Grooming Products allow for this easily. 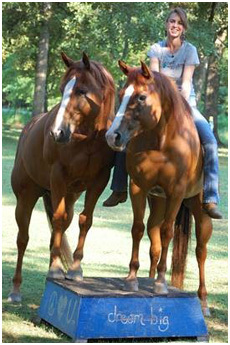 I will not use any other product on my horses after being introduced to such a great & easy-to-use product." Hero's Arena is home of Ricky Rice www.herosarena.com. 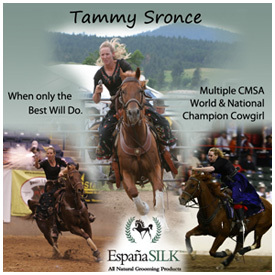 "The Espana Silk Products are the very best grooming and hair products we have ever had in our barn. I want my horses to look like the stars they are for the many competitions and exhibitions we do around the United States and so I have tried almost every equine hair product made. 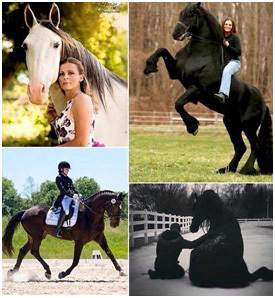 Trudy has done a remarkable job in creating a line of Espana Silk products that are of such high quality they make your horse feel, smell and look like they had a day at the spa every time you use them." "Rope Your Dreams Partner Program"
Congratulations to our youngest EspanaSILK celebrity, Colton Lee Workman of Arkansas!! All of us at EspanaSILK would like to announce the special news as we honor this up and coming future roping superstar and deserving first year recipient of the Cooper Rodeo Foundation CRF's "Rope Your Dreams Partner Program" LIFE'S JOURNEY scholarship. We feel it a privilege to be an Official Sponsor for Colton & Brittany Workman and EspanaSILK is beyond proud to be Colts All Natural Grooming Product choice for his horses, himself and family in and out of the arena. 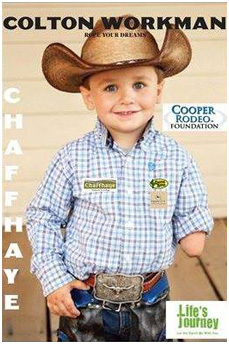 We are excited to be along for the ride throughout Colt's awesome journey and look forward to sharing it all with you--stay tuned for lots more amazing achievements to come from this inspirational cowboy!! 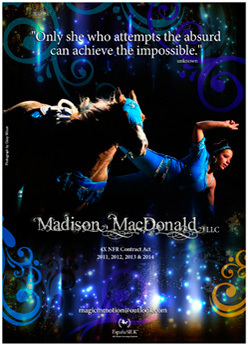 Madison's passion has always been horses, she won countless awards and championships thru junior and high school rodeo. Her lifelong dream was to become a professional trick rider & she has accomplished that with the highest of honors worldwide. 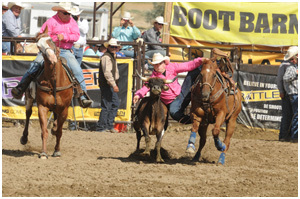 Madison has been selected for the 4th consecutive year as NFR Contract Act 2011, 2012, 2013 & 2014. When not on the road Madison is training horses and a new generation of up and coming trick riders. When she has the time she still team ropes and professional barrel races while pursuing a teaching degree. 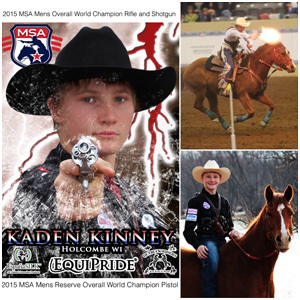 Kaden Kinney "Double K Express"
Kaden is riding Willow a horse he trained this year himself for mounted shooting. 2015 MSA OVERALL WORLD CHAMPION in shotgun and Rifle and MEN'S RESERVE OVERALL PISTOL WORLD CHAMPION. 2015 Eastern National Non-Pro Champion & Wisconsin National High point. 2014 Reserve Shotgun winner 2nd year member of the All Star Team. It’s an honor to be part of the EspanaSilk Celebrity team. EspanaSilk is the best all round products to use. 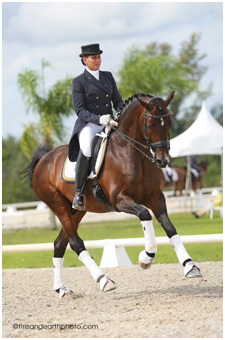 It is a win-win combination for my World Champion horse and I. 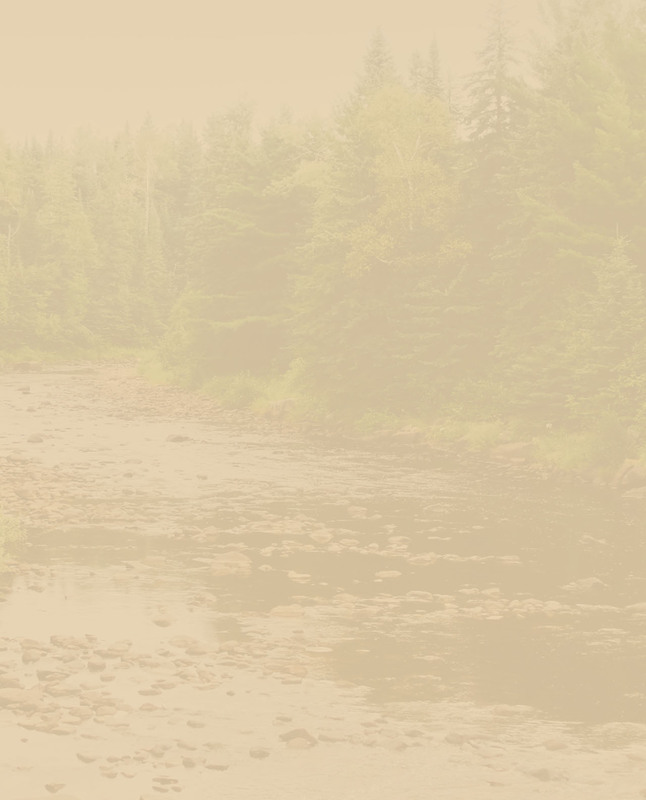 It has a variety of uses from bug spray to a shower in a bottle and it is great for me, my family and all my pets. Horses, dog, cat, bunny… Thank you EspanaSilk for helping me achieve my dreams!!! friend us facebook "Outbuck Riders Kinney"
Not only are EspanaSilk products mine and our herds' favorite grooming products, the line's creator, Trudy Midas, is one of our FAVORITE ROCKSTAR COWGIRLS on the planet!! Trudy dearly LOVES and pampers her own babies with her thoughtfully made products & shares that unconditional LOVE to pamper and LOVE on everyone else's babies all over the world!! We are GRATEFUL, LUCKY & BLESSED to know Trudy & to have the luxury of using her top of the line products. My crew and I love Espana Silk products for the effortless cleaning it takes to make my horses sparkle and shine in and out of the show ring. Even in my horses off time the maintenance to keep the coats silky and soft is a breeze. 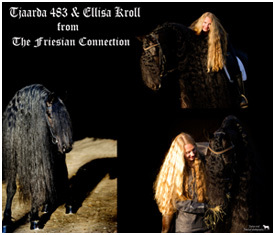 Our Friesian’s long unruly manes have never been as easy to keep detangled as they have been since we started their Espana Silk routine. "I have been using EspanaSILK products on both myself and my horses and not only have I been amazed at the difference in my own hair, but its been excellent for my team of mustangs as well. 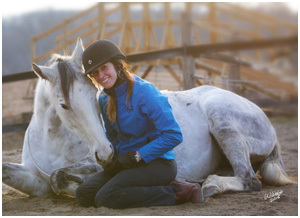 It is important to me that I find the most natural way of caring for my horses. EspanaSILK, with its plant based formula and hypoallergenic blend, is the solution I had been looking for." "I was drawn to Espana Silk, not for the products, but for the amazing, deeply authentic woman that birthed them. Trudy Midas is an amazing Soul and I am blessed to call her friend. After I tried the products, I was SOLD. They really are as amazing as she claims them to be and you can FEEL the heart and soul she has poured into them." 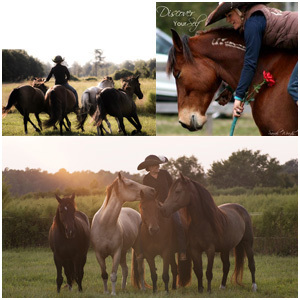 "I am currently doing a summer challenge with the SOUL SISTERS Wild Mustangs to see just how LONG I can get their manes to grow used the Espana Silk Healing line of products. I am just a few baths in and I am already in awe of the silky, healthy, hydrated feel their mane have from these products. There is no weight or stickiness, just soft, smooth healthy feeling hair. I will gladly check back in to let you know my results after the summer. I am confident they will be quite miraculous! I am honored to not only be sponsored as an EspanaSILK “Celebrity” by such an amazing company, but also honored to carry these products in my family's online Be Life Farm store. Check it out at www.BeLifeFarm.com from my light to yours!" 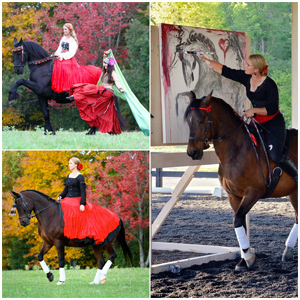 "I am drawn to the Espana Silk products because the owner/founder Trudy Midas shares the same passion and creativity that I strive for in my work with horses. 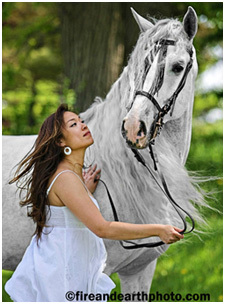 She loves horses to the core of her being and it shows in her products. I completely trust every ingredient that she uses and have found it to be amazing for my hair as well!"